Portland’s Coalition Brewing is a brewery that believes in community. Since 2010, the 10 barrel craft brewery in the heart of the city has aimed to bring the American craft brewery experience to the community. Recently, the owners, Kiley Hoyt and Elan Walsky, expanded their community efforts with a festival that highlighted two of the cannabis industry’s most exciting components: terpenes and CBD. One of Coalition’s goals has been to create a series of CBD and terpene beers. As Walsky told us, “The point of the project is to showcase the common threads that exist, not only between hops and hemp, but also, really, among all these different flavor compounds and these different agricultural products that are used in beer and in the cannabis industry and all that.” We here at True Terpenes are happy to be part of their community – not only as Portland residents – but also in having a hand in some of their dynamite brews. For months, Coalition conducted research and development to determine how to integrate terpene profiles and CBDs into the project properly. When it came time to address terpenes, Coalition liked what True Terpenes had to offer, and with it, extra points for being a Portland business. “Our whole motto at Coalition is ‘Community through beer,’ so it just fit the mold really well. Then, when we reached out to True Terpenes, they were just very enthusiastic about the whole project, and it’s just been a great partnership.” Around the end of 2017, Coalition released its first CBD beer. Creating a beer with terpenes has been an exciting and interesting challenge for Coalition. One of the terpene creations working its way through production is Ensemble. Presenting the flavors cohesively led the brewery to work with OG Kush for its popularity and how it matched the aromatic profiles of the hops being used. In addition to Ensemble, Coalition has Herbs of a Feather also in development. In the meantime, be on the lookout for their Pineapple Upside Down Brew which uses terpenes from Pineapple Express. Other notable names in cannabis, like Anna Symonds (CBD Certified/East Fork Cultivars), Courtney Moran (Earth Law), Leah Mauer (The Weed Blog) and Jason Calderon (West Daily), were also in attendance for a panel discussion. True Terpenes was proud to take part in the festivities with a terpene sensory station. There, guests were able to smell different terpenes and get a feel for an interesting and emerging aspect of cannabis that isn’t always discussed. Overall, it was a solid 4/20. Coalition also has a slew of beers rolling out in the weeks and months ahead. In addition to bringing Pineapple Upside Down to you in the not too distant future, beer lovers should be on the lookout for Crime of Passion, a delicious passion fruit sour ale. Another delectable flavor pairing will be Honcho, a sea salt lime Kolsch. Coalition beers can currently be found in the Pacific Northwest across Oregon and southwest Washington, up through the I-5 corridor. They can be found on tap at bars and restaurants in the area, as well as at independent bottle shops and all major food stores. 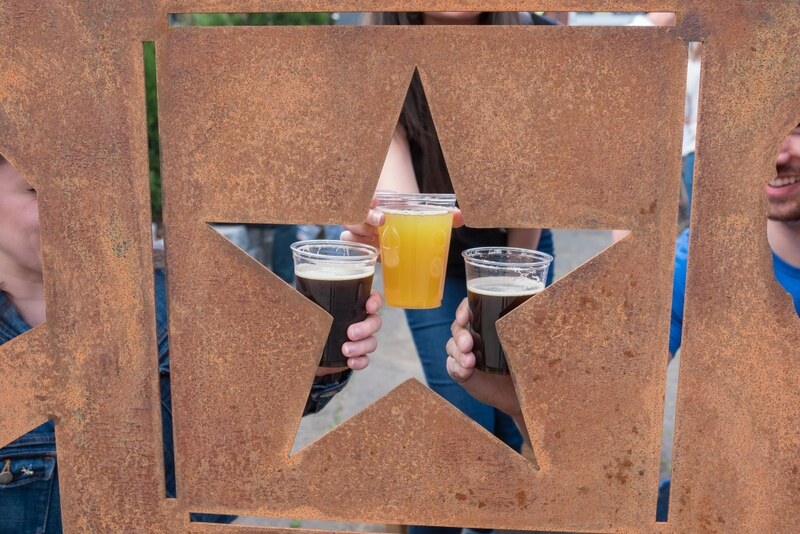 Whether you’re a local or looking for just another reason to visit Portland, be sure to stop on by Coalition’s brand new, all season drinking patio and enjoy some beers. True Terpenes is grateful to be along for Coalition Brewing’s ride as they help shape the future relationship between terpenes and brewing. If you are looking to integrate terpenes into your food or drink production, contact True Terpenes today!